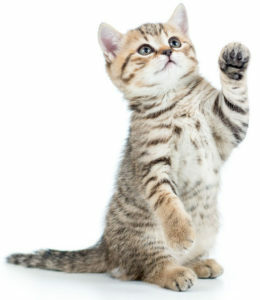 High quality cat foods are formulated with this evolutionary platform, and feline nutrition requirements, in mind. 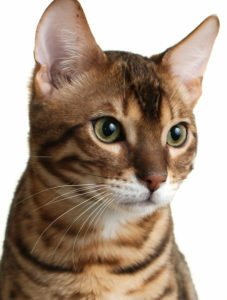 At the Animal Clinic of Billings, we take pride in providing our patients and their human caretakers with all the information necessary to help cat owners make educated decisions about all facets of feline nutrition, cat foods included. 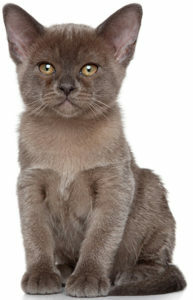 By 5-8 weeks of age, your kitten should be able to chew its own kitten food, and you should provide a protein rich and energy filled diet, with feedings taking place 3-4 times daily. 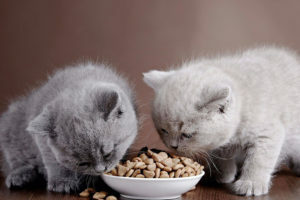 There are many different types of kitten food available, and we would like to discuss these dietary options with you at your next veterinary appointment. 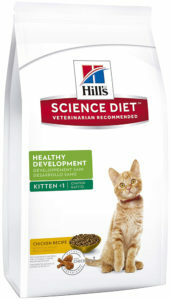 Typically we recommend canned kitten food because it will mimic the natural diet both in consistency and formulation. However, a good diet may also consist of a combination of canned and dry kitten foods. 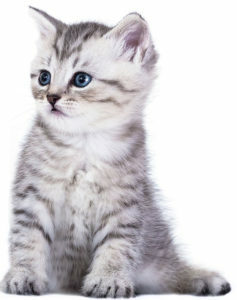 After 6 months of age, kittens should be fed 2 times per day. The high levels of carbohydrates and plant protein can lead to weight gain and digestive issues, especially in older and more sedentary cats. 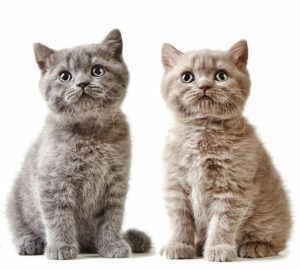 However, dry food is convenient and the best choice for busy households. 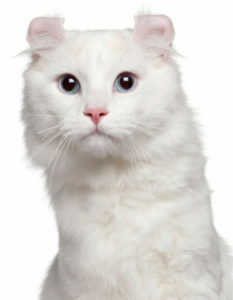 Some premium food brands have developed formulas of specialty, prescription formula dry cat foods which can be sound choices for cats with allergies, certain health conditions, and as part of a diet also containing canned or fresh food. If your cat is doing well on his current diet, then there may be no need to change to a different formula. 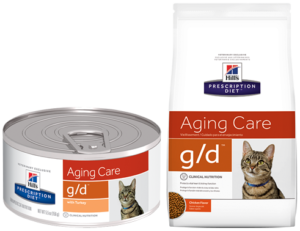 Some brands make a Senior cat food which is specially formulated to deliver ingredients which are more easily digested than standard adult cat foods. 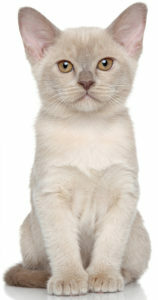 Senior cats are more likely to develop health issues related to intestines and kidney disease. There are diets specifically formulated to benefit cats with these issues which may help slow the progression of these diseases. 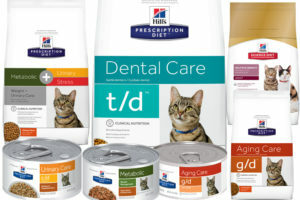 Your veterinarian can help you choose the best cat food for your senior cat by taking pre-existing medical conditions, current health status and overall lifestyle (indoor, outdoor, sedentary, active, etc.) into account. Carbohydrates are the main energy source for the brain. Without carbohydrates, the body could not function properly. Sources include fruits, breads and grains, starchy vegetables and sugars. Cats also have evolved to receive the majority of the water in their diets through the consumption of food. This is why sound feline nutrition includes a diet that is rich in unprocessed proteins and water. Canned cat foods are usually formulated with water content in mind, and can contain up to 80% of this feline nutrition requirement per serving. Fats also supply linoleic and arachidonic acids, which are essential for overall health. 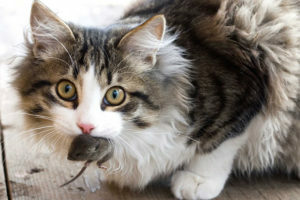 The overall balance of a cat’s diet is affected not only by the levels of each individual minerals, but also by the interactions between them. 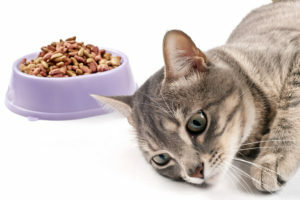 For this reason, we recommend consulting one of our veterinarians about mineral amounts and balance when choosing cat food, or cat food supplementation. 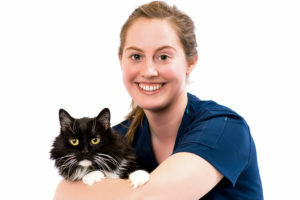 Let our highly trained and experienced team of veterinarians and veterinary technicians help you keep your cat as happy and healthy as they can be. 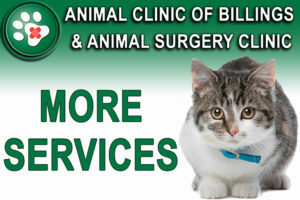 Call the Animal Clinic of Billings to schedule your cats next wellness examination with us today!